WHAT’S GOING ON AT BABER WOODS? 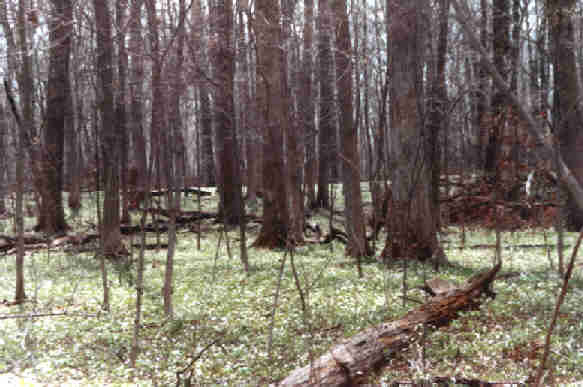 Baber Woods is an approximately 50 acre woodland located in southwestern Edgar County near Kansas. Baber Woods has undergone some drastic changes as managers attempt to restore an oak-hickory forest. The work is being monitored by biologists from The Nature Conservancy, the Illinois Natural History Survey, Illinois Department of Natural Resources, Illinois Nature Preserves Commission, and Eastern Illinois University. 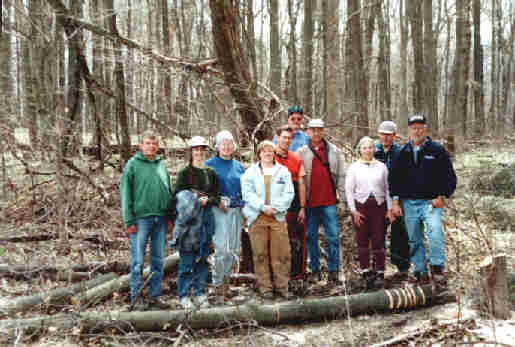 The site is owned by the Nature Conservancy and is a dedicated nature preserve. Historical records tell us that at one point in time this woodland was part of a savanna, an area of scattered trees without canopy closure and with forbs and grasses covering the ground. As time passed the savanna transformed into an oak-hickory forest with the savanna plants slowly declining and woodland plants becoming more common. This change appears to coincide with the absence of fire attributed to European settlement. There are at least two reasons for this. First, sugar maples (Acer sacharum) are not as tolerant as oaks and hickories to fire and can flourish in its absence. Second, sugar maples are shade tolerant. As the forest matures and canopy cover increases, sugar maples have a much better chance of surviving than do oaks and hickories. 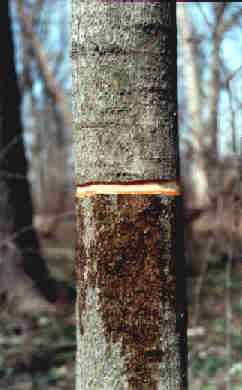 In fact, surveys at Baber Woods in 1998 indicated sugar maples had the highest importance value accounting for nearly one of every two trees. This transformation has caused a 50 percent decrease in plant species diversity over the last thirty years. The Proposed Solution: Remove 80 percent of the sugar maples by cutting or girdling, and removing most large trees from the site. The reasons for moving the larger trees off site become obvious when you think about the problems asscociated with having nearly 50 percent of the forest lying on the floor. Big logs create tremendous heat when burned and can sterilize the soil, preventing growth of desirable plant species. Management and research activities at the site would be difficult if not impossible if all of the maples were left behind. The project began in 2000, and the cooperation of many talented individuals working toward one common goal will help insure that one of our living treasures is not lost and that the lessons learned will aid in the preservation of many more. Dutchman's breeches puts on a show early in the spring. This good looking group is ready to do some girdling.